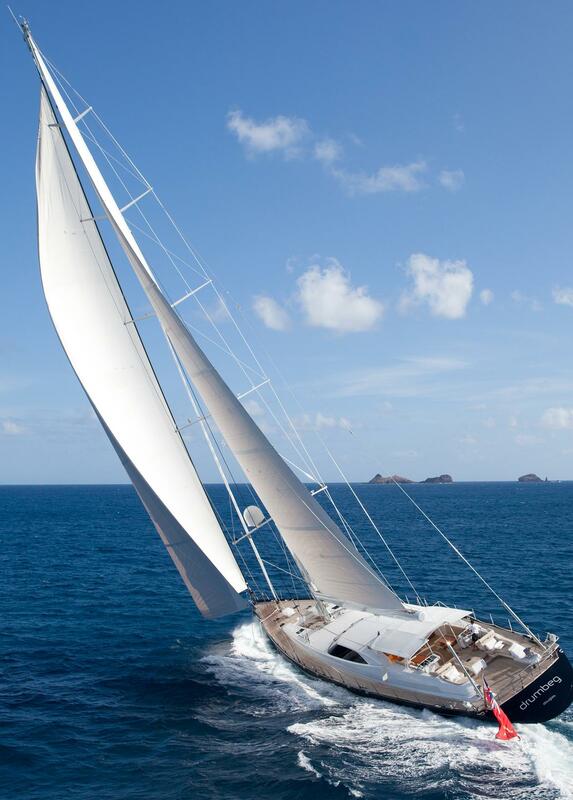 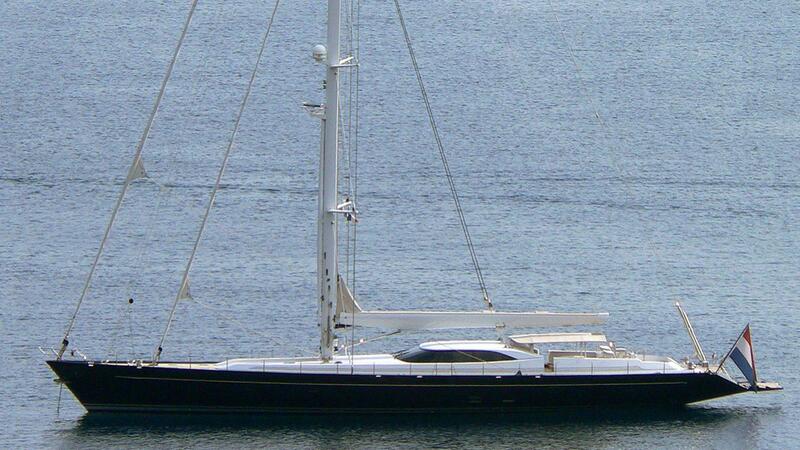 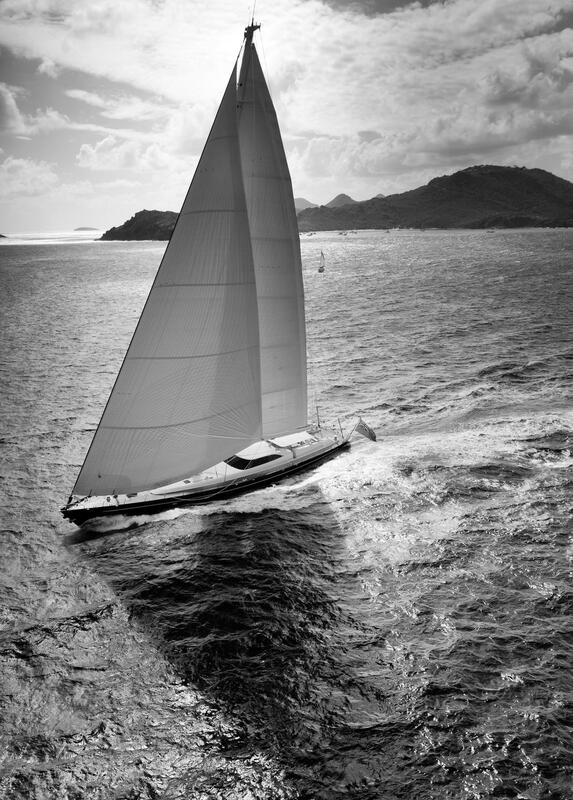 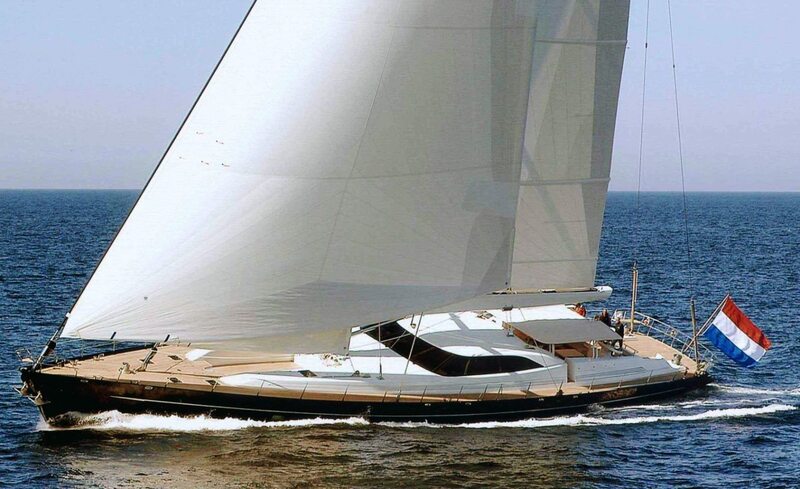 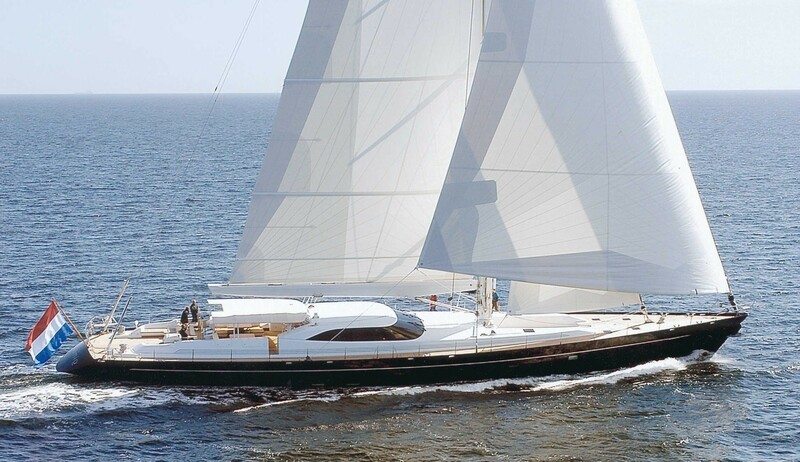 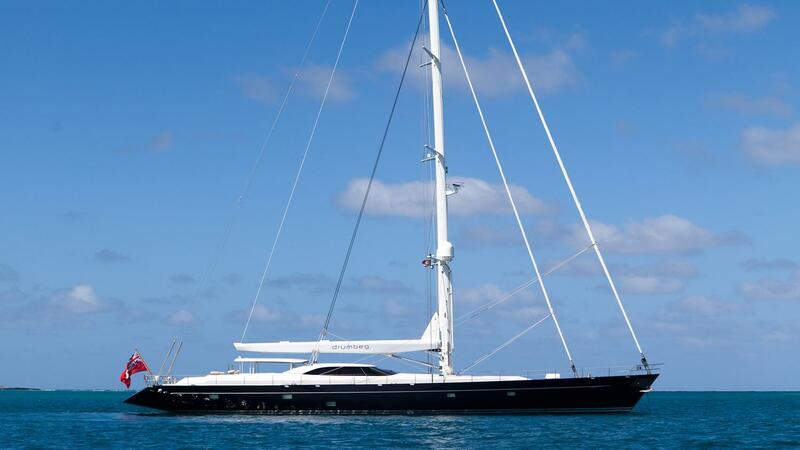 S/Y BELLA RAGAZZA (ex, Nelson) is a modern and powerful 43m (140') Dubois designed luxury sailing yacht. 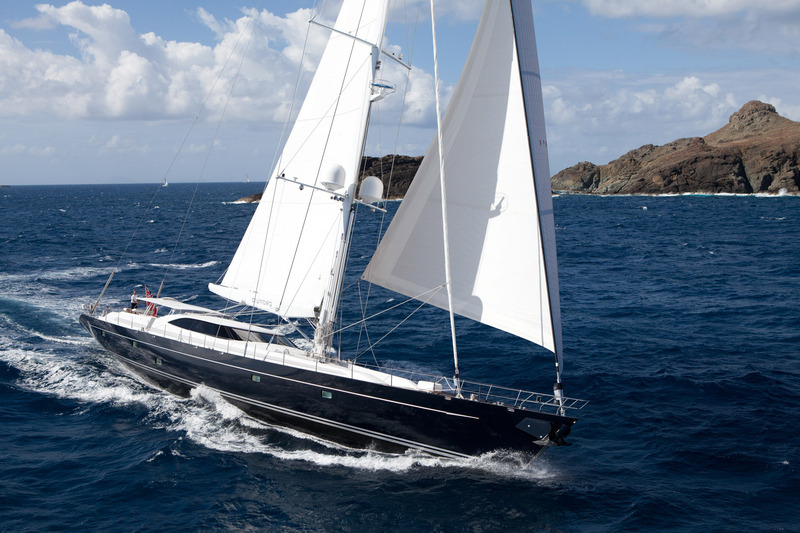 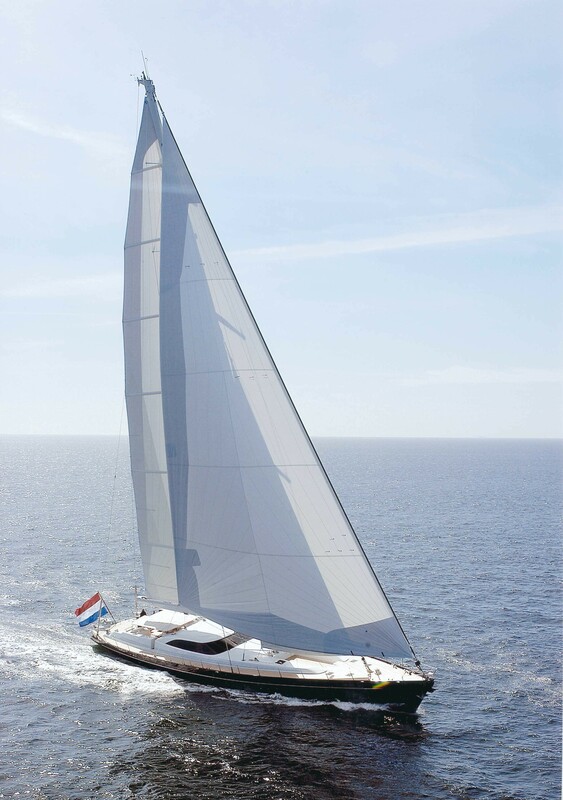 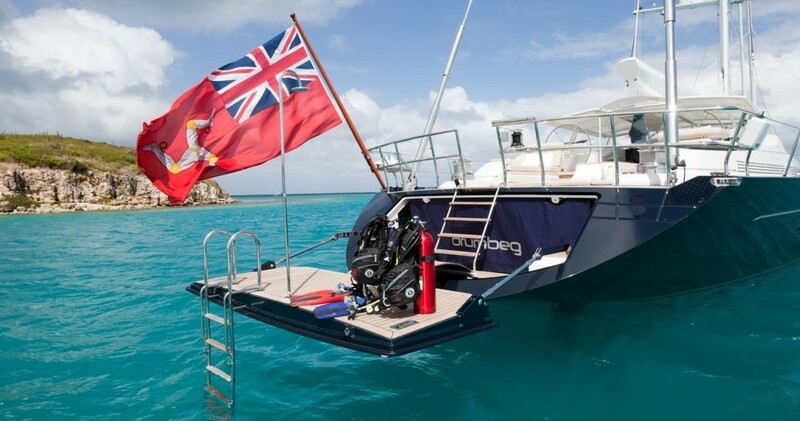 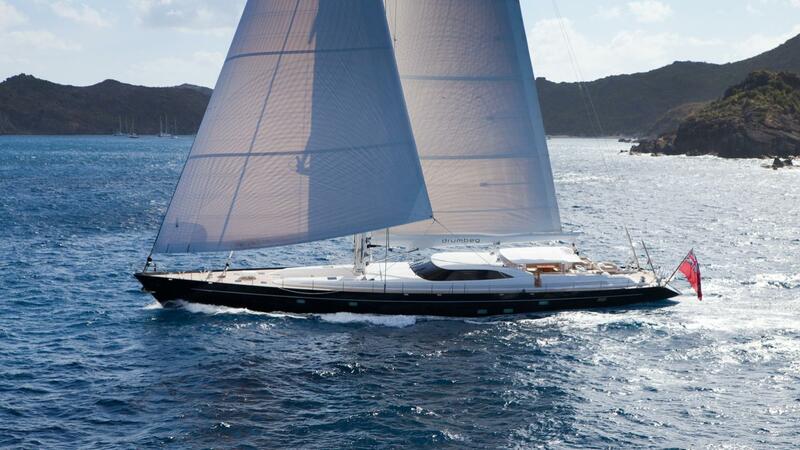 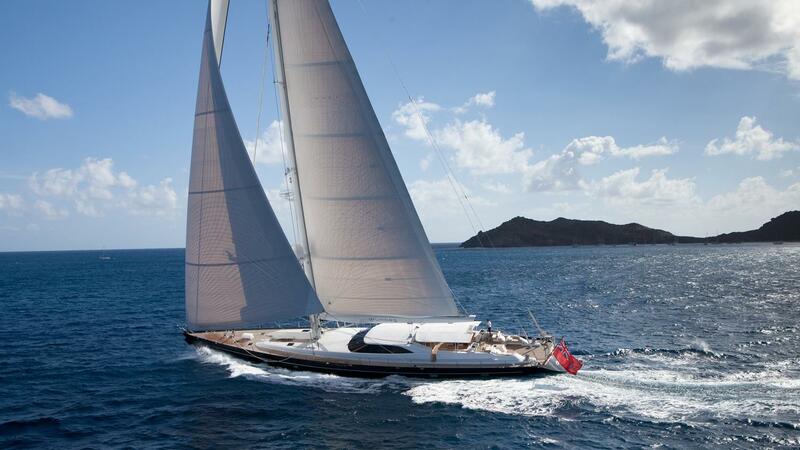 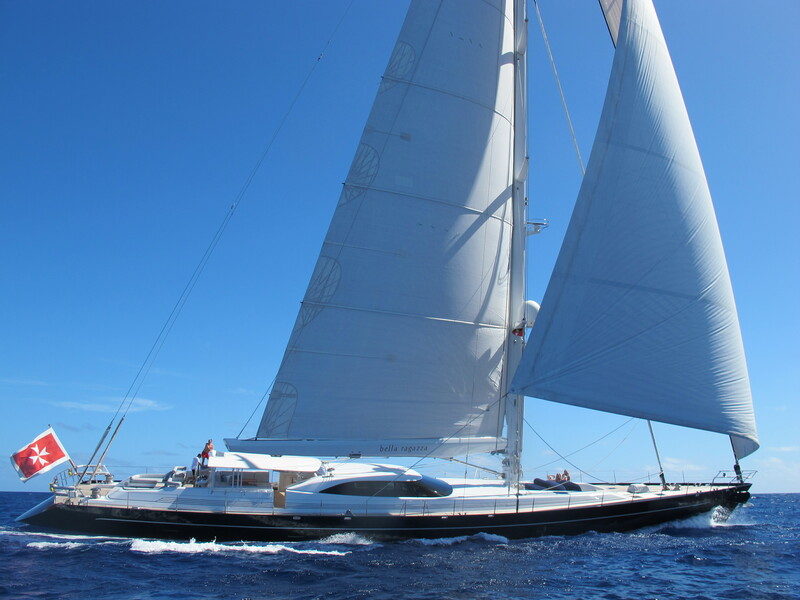 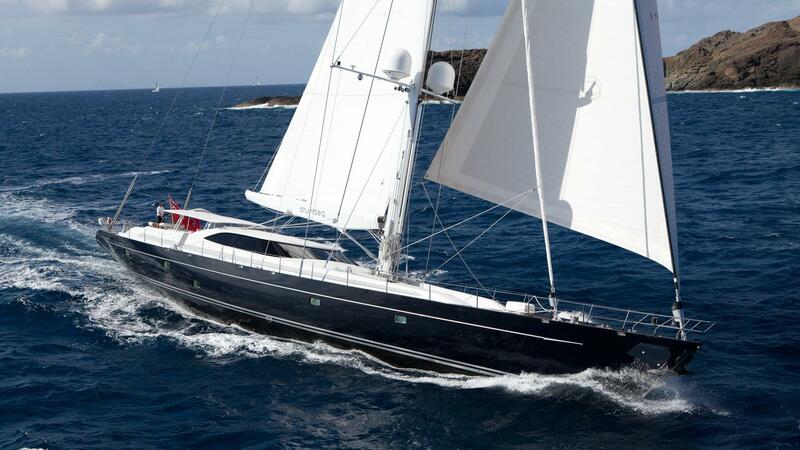 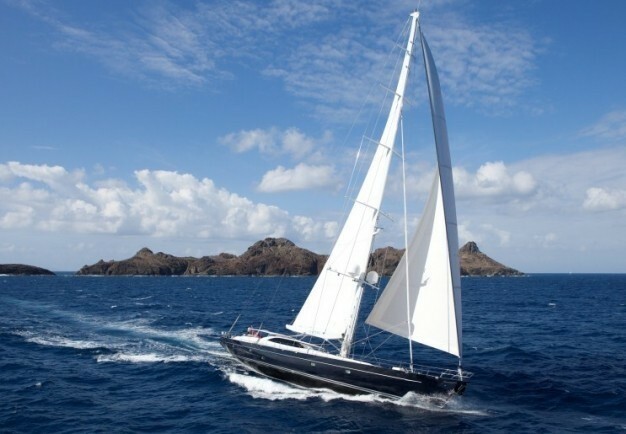 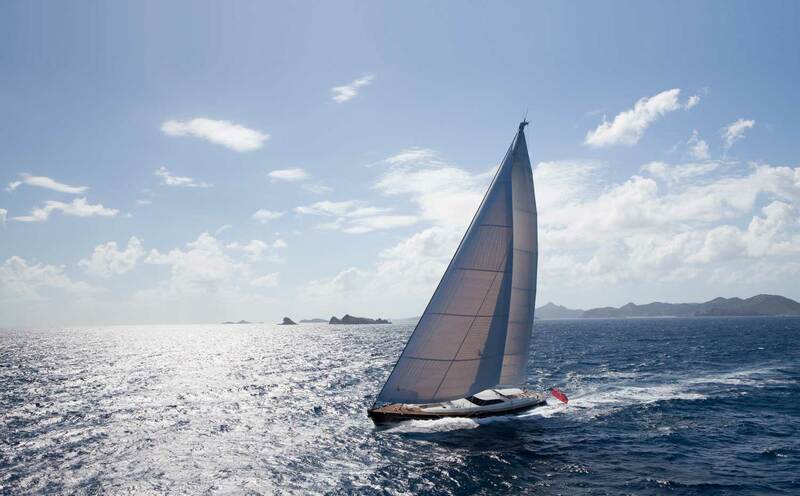 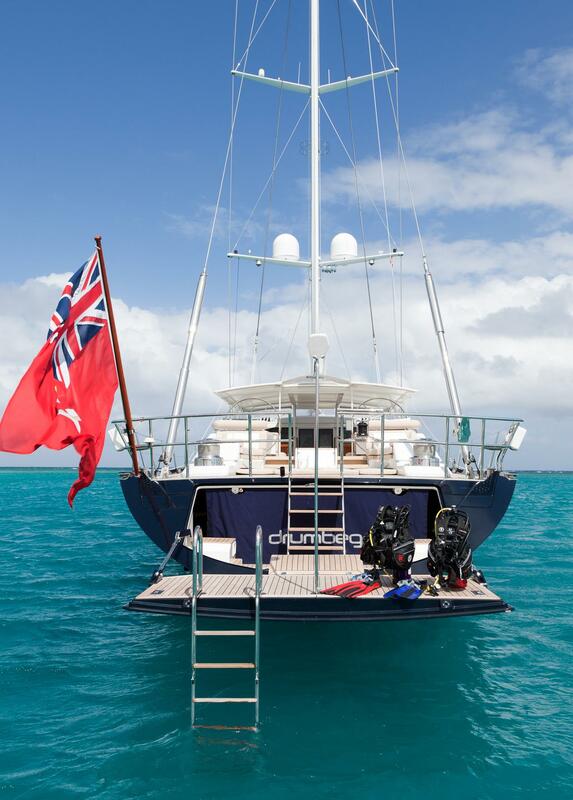 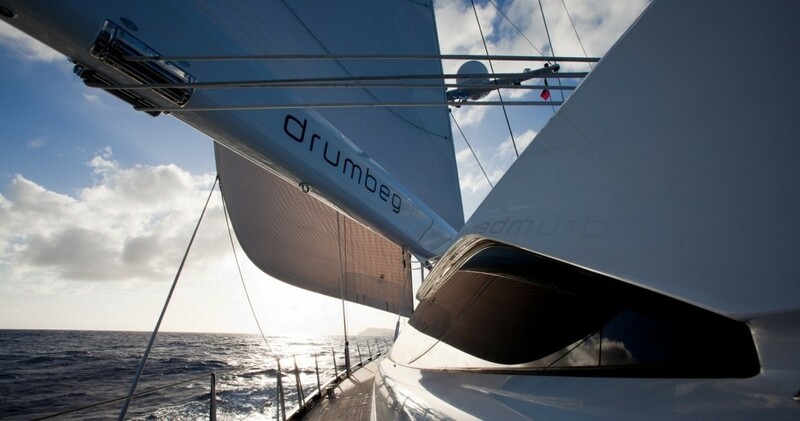 She was built to an extremely high specification at Vitters Shipyard in Holland. 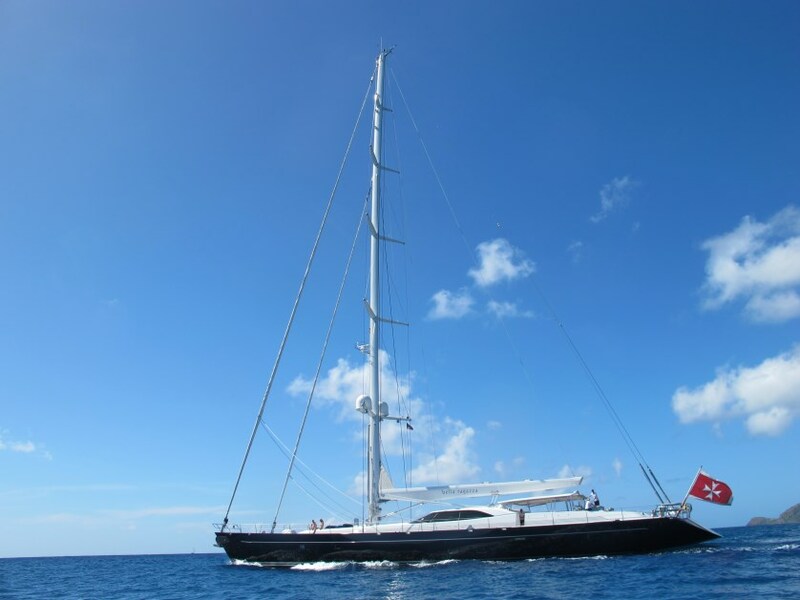 This luxury sailing superyacht is unique in that she is one of the very few sailing yachts of this size with 5 double cabins and accommodation for ten guests. 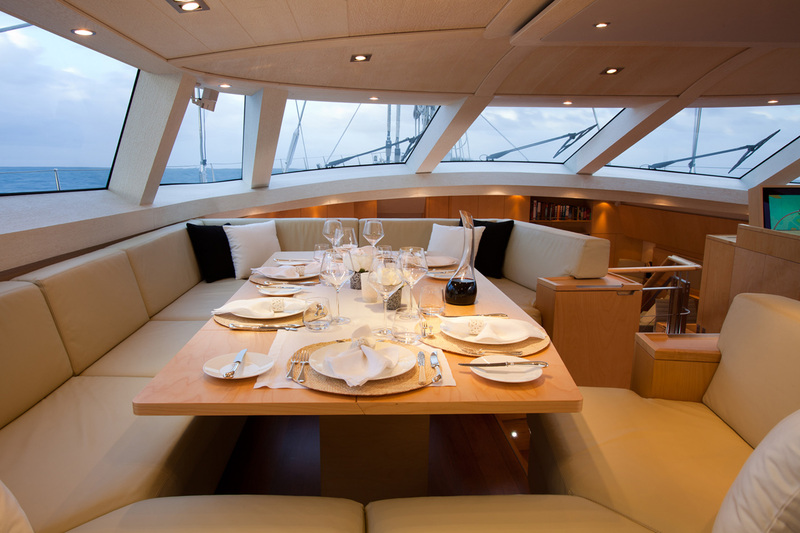 BELLA RAGAZZA has an interior with a calm and restful ambiance using minimal detailing in Birchwood, brushed stainless steel and oiled teak. 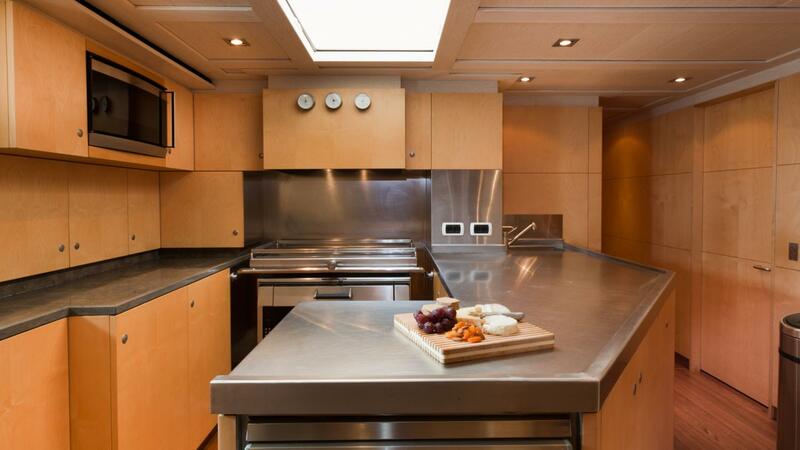 The finishes are as natural as possible. 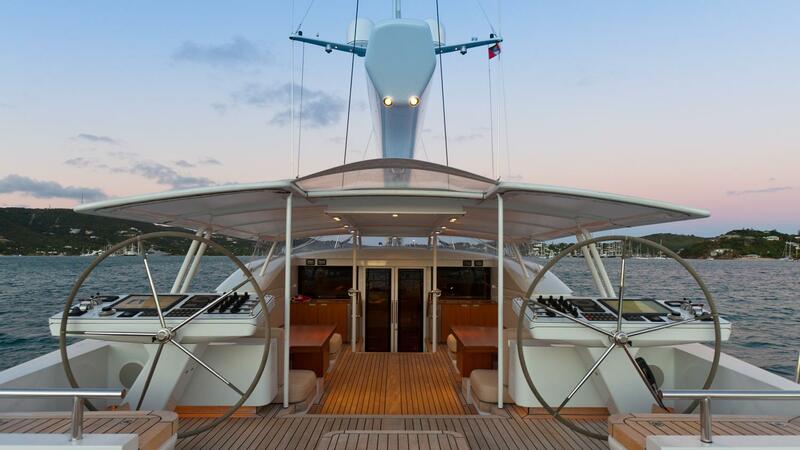 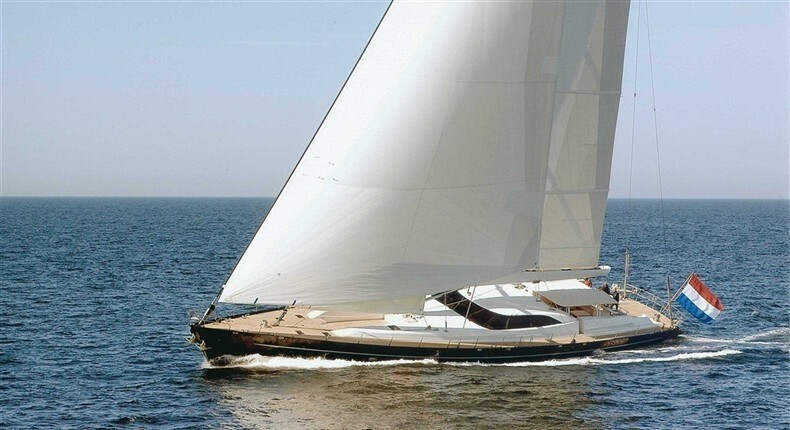 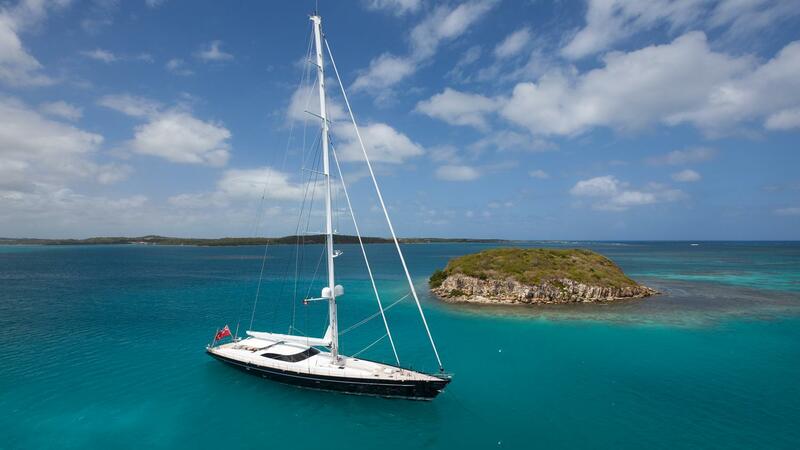 Sailing yacht BELLA RAGAZZA is a comfortable world cruiser, equipped and finished to a high standard. 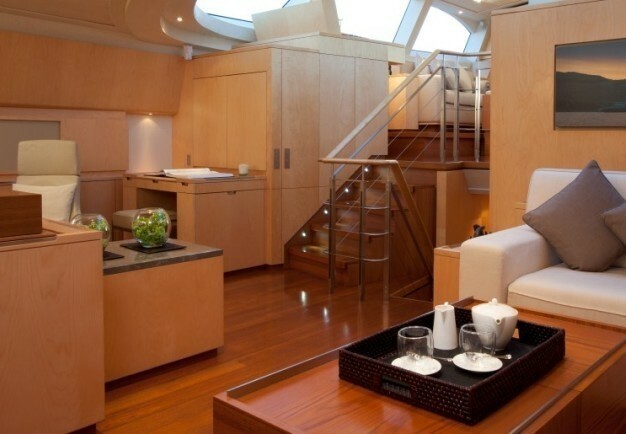 She combines comfort with seaworthiness and has lots of interior space. 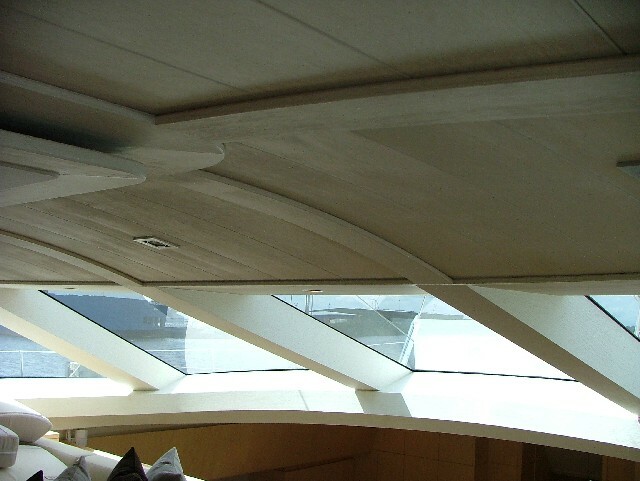 The furniture is finished in matt varnished birch with limed birch wood beams to the overhead. Bathrooms have teak counter tops with stone basins and hidden lighting. 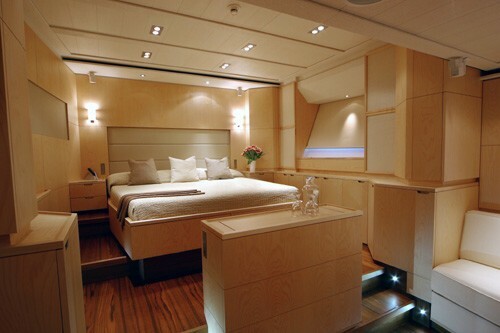 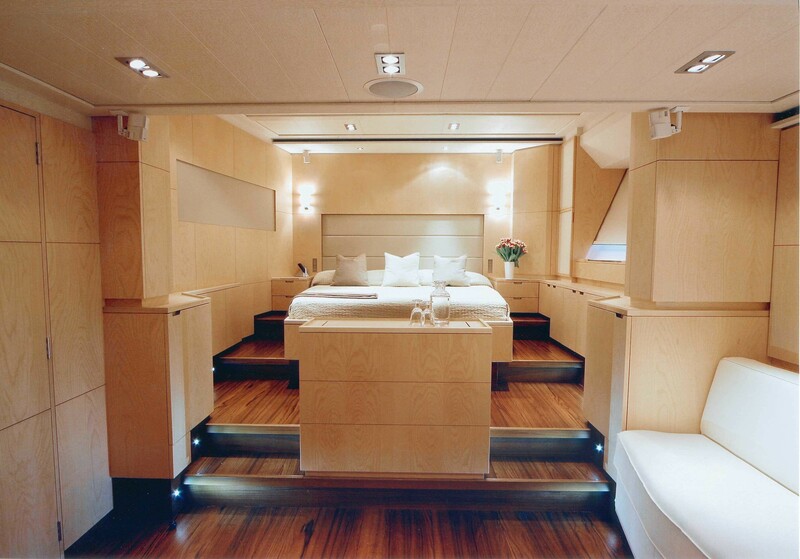 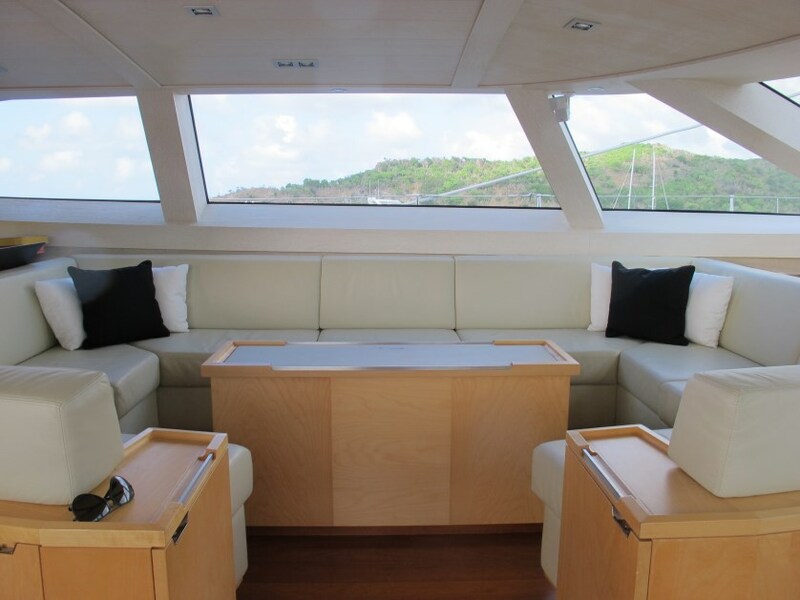 The layout has in the forward part of the yacht four crew cabins with laundry, galley and crew mess. 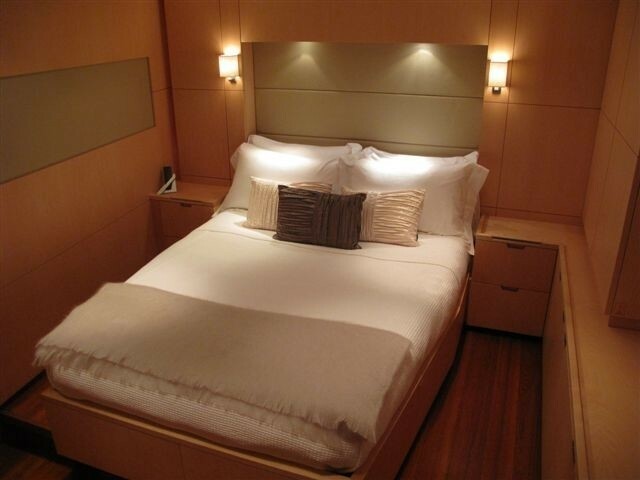 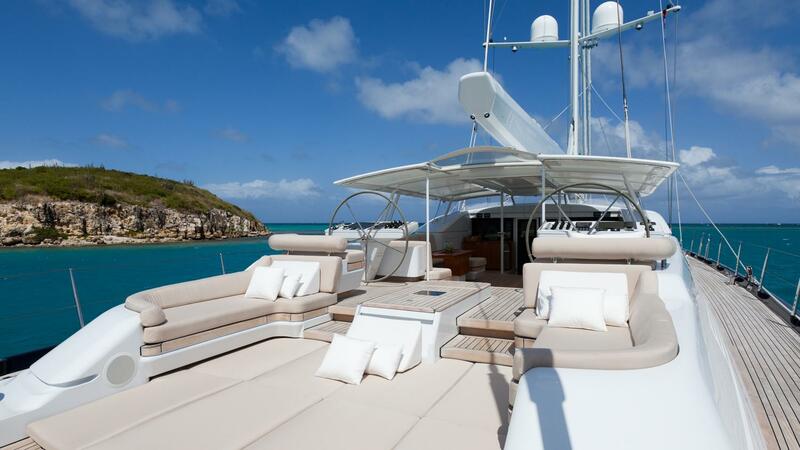 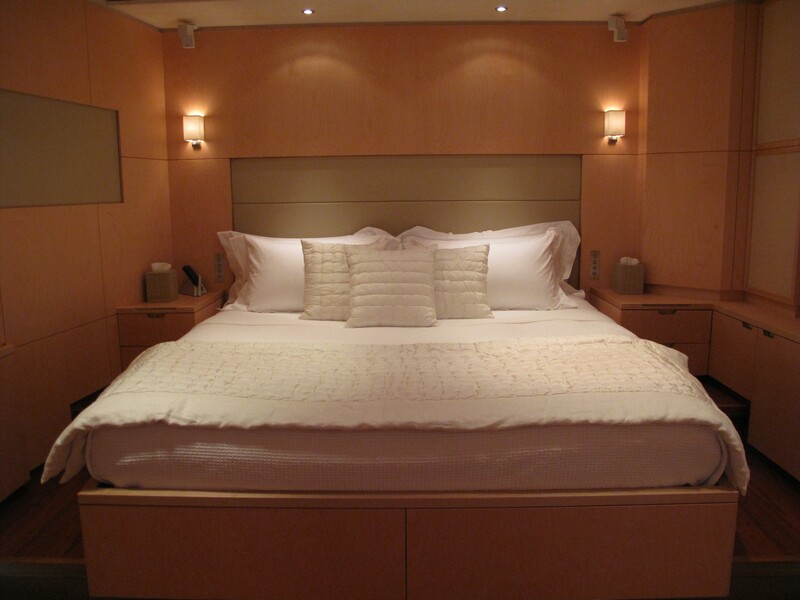 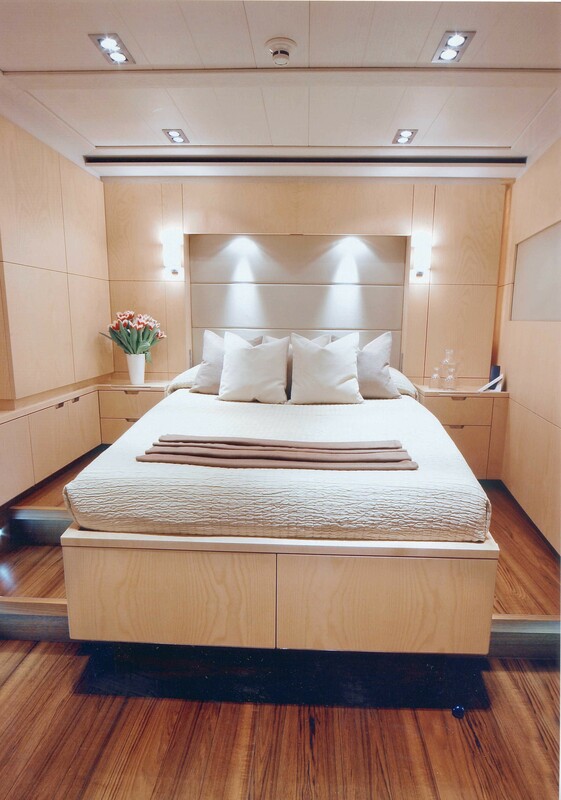 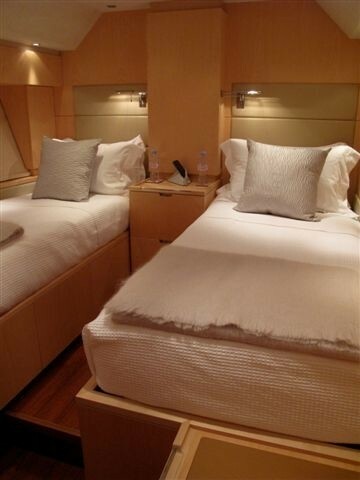 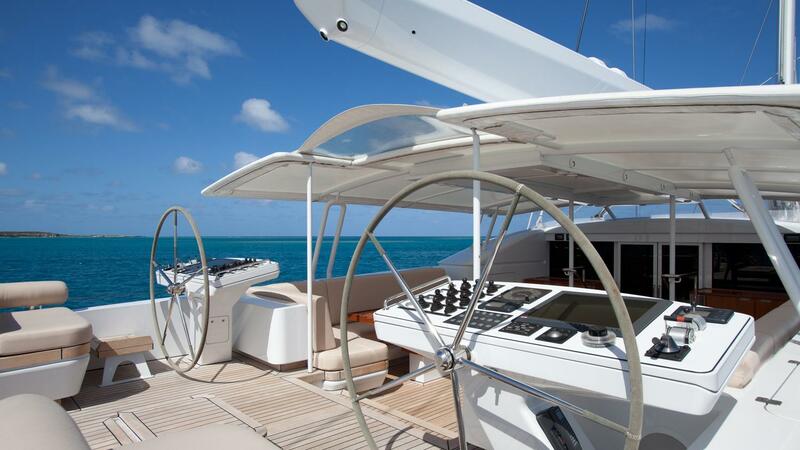 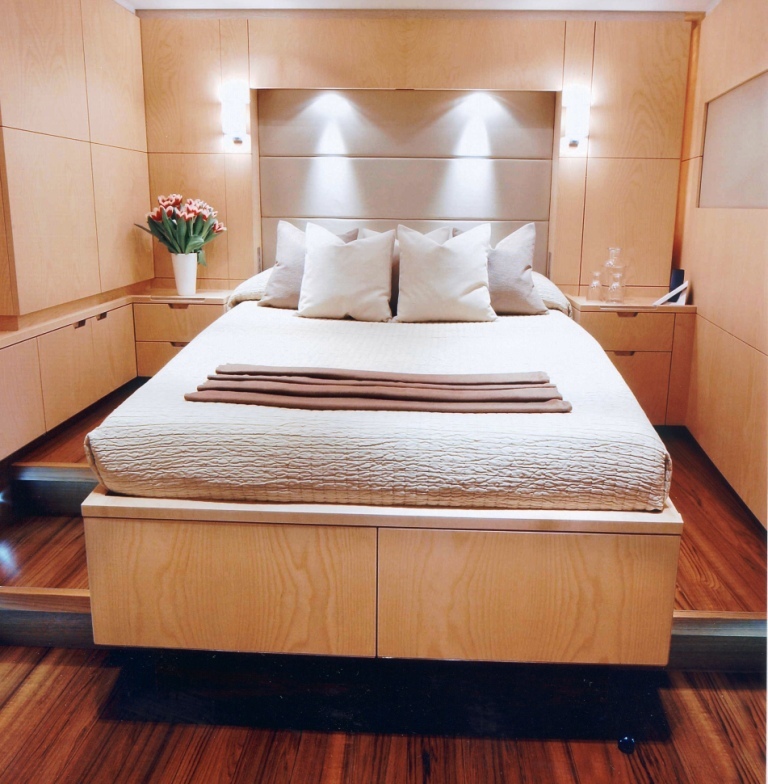 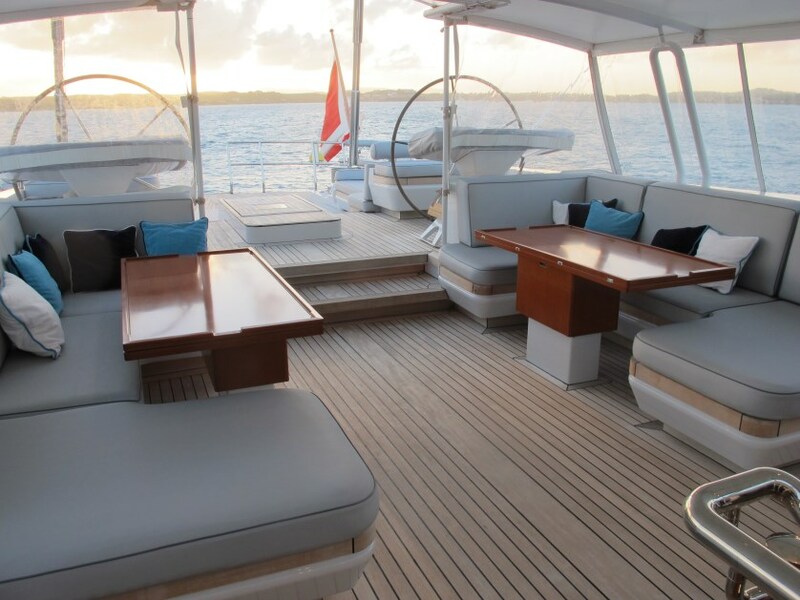 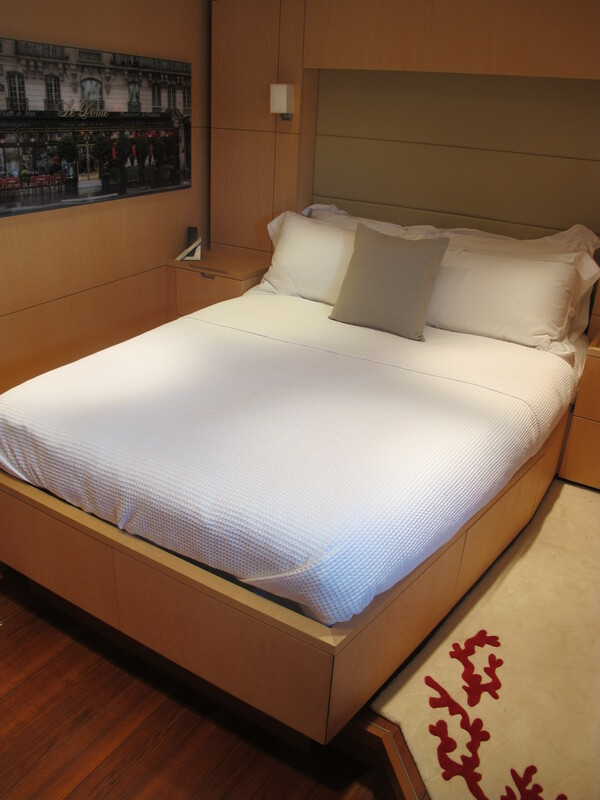 Owners’ stateroom and a further four guest cabins are located in the aft part of the yacht. 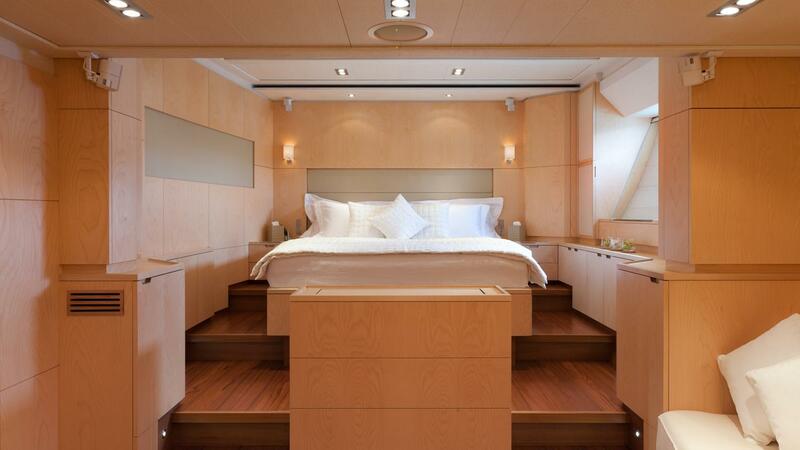 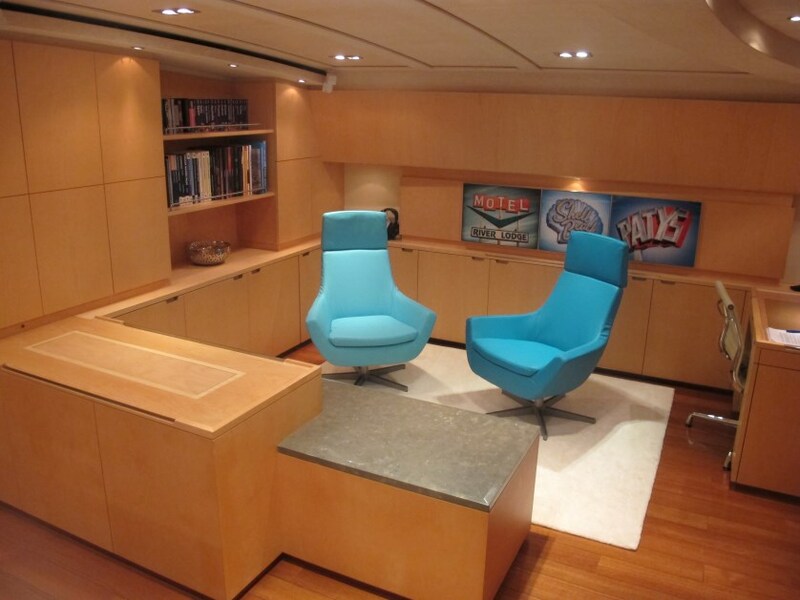 The yacht's owner's suite is on twin levels and features a separate dressing room and sauna. 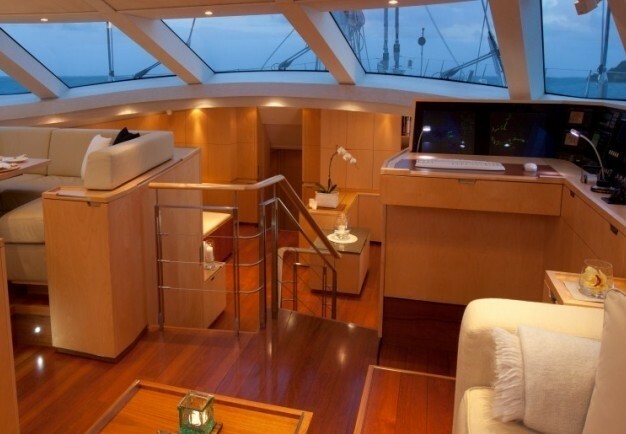 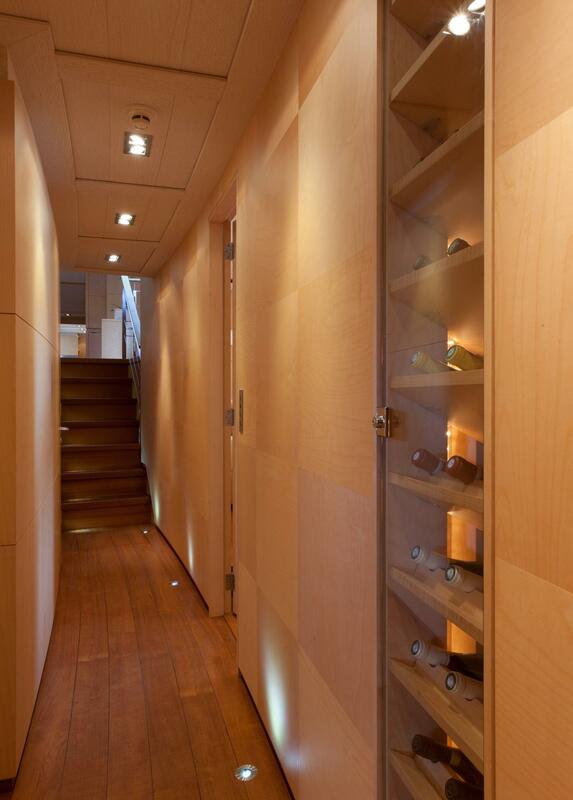 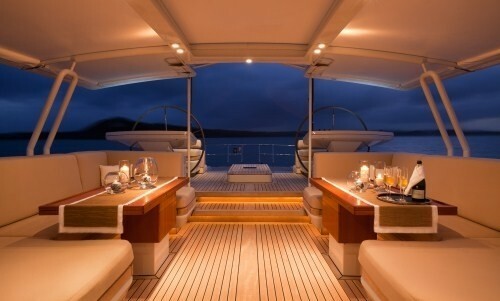 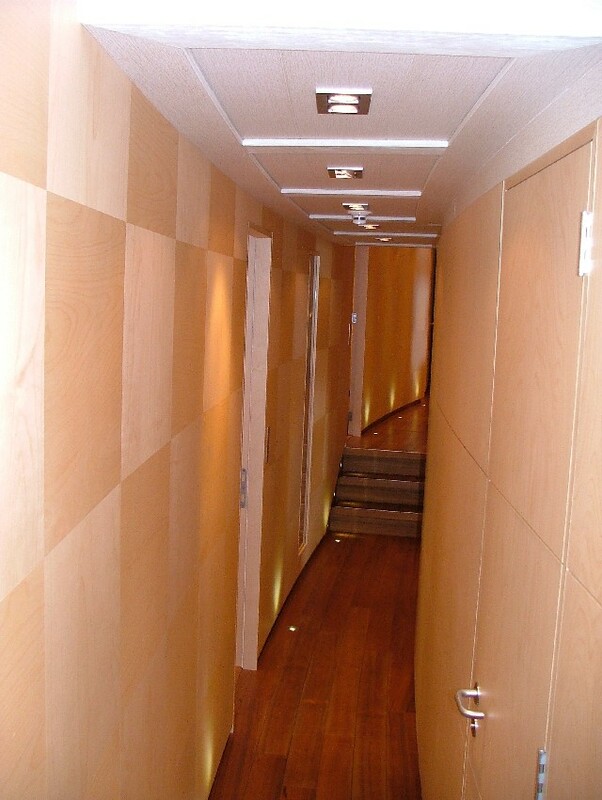 A special feature is the hallway going through the aft part of the yacht to the deck. 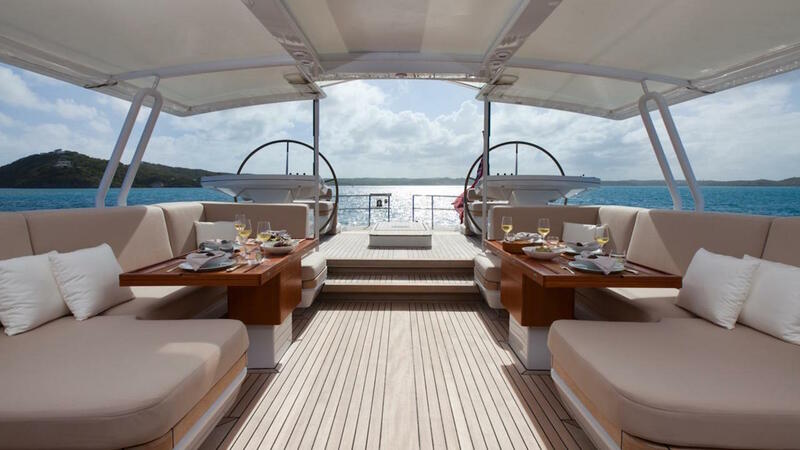 There is a big salon divided into deck salon and lower salon, offering a great opportunity for launching, dining and entertaining. 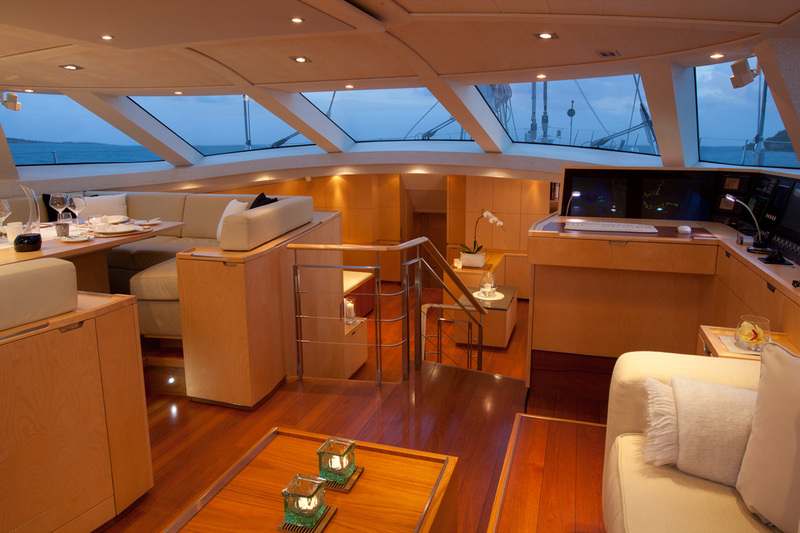 From the deck salon, there is a beautiful view outside. 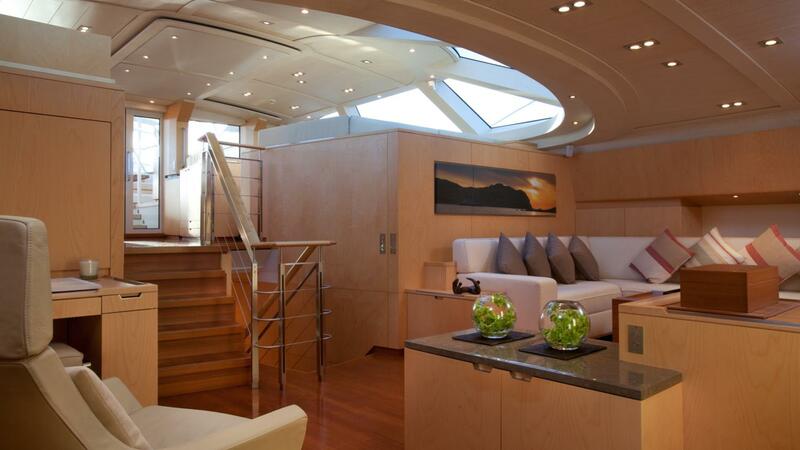 The interior is detailed by Rhoades Young Design. 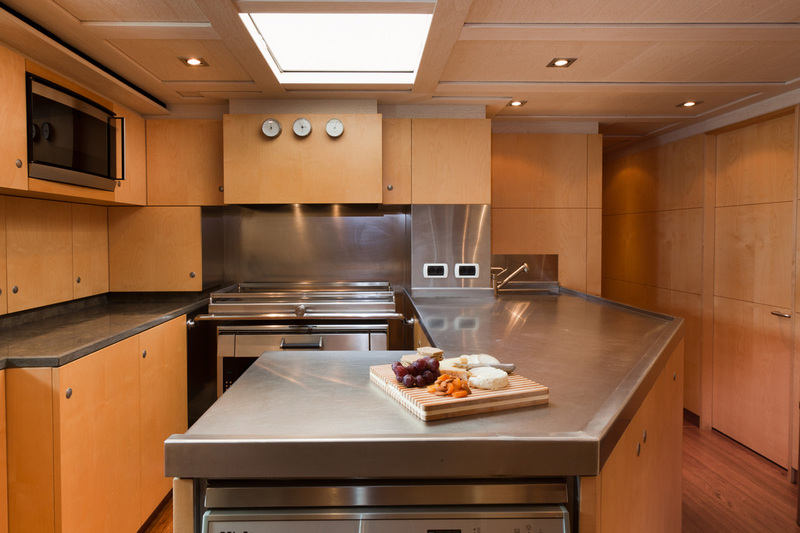 The concept is to achieve a calm and restful interior using minimal detailing in Birchwood, brushed stainless steel and oiled teak. 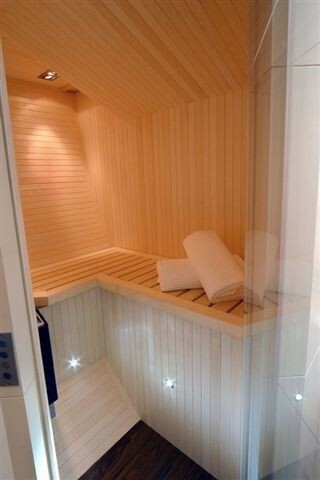 The furniture is finished in matt varnished rotary cut birch with limed birchwood beams to the overhead. 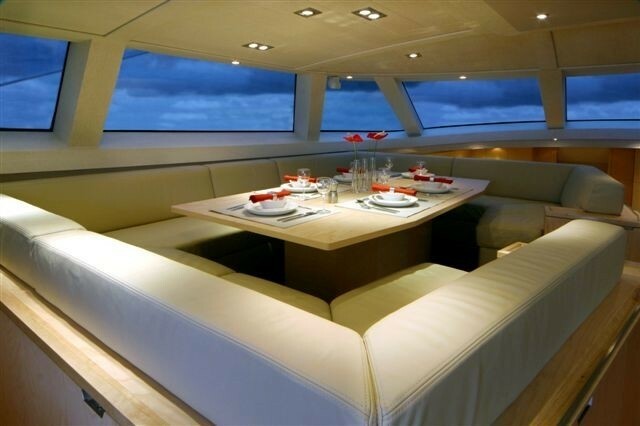 The bulkheads have kick recesses with a stainless steel trim. 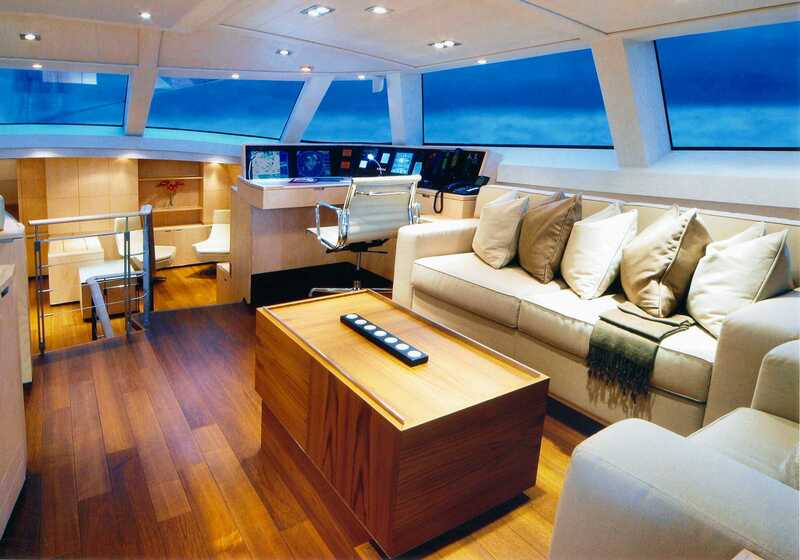 The floors are made of oiled teak with wengé lines between the floorboards. 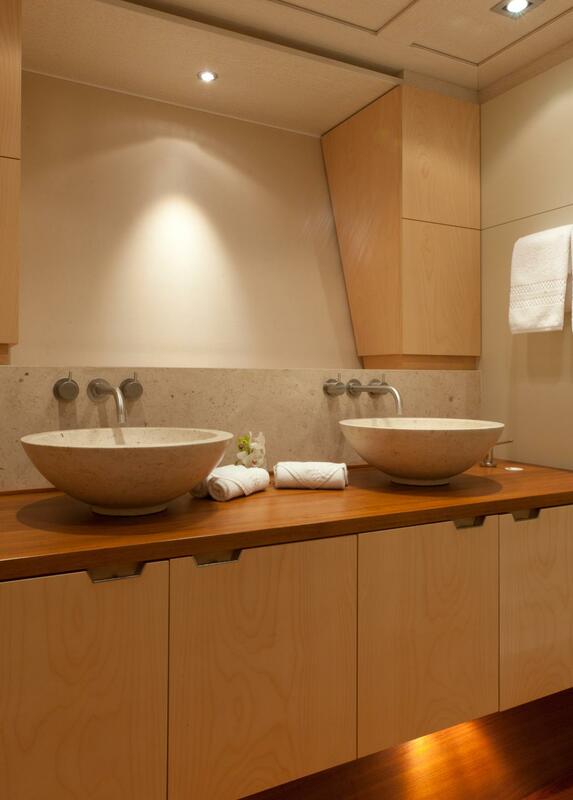 Bathrooms have floating teak counter tops with stone basins with hidden backlighting. 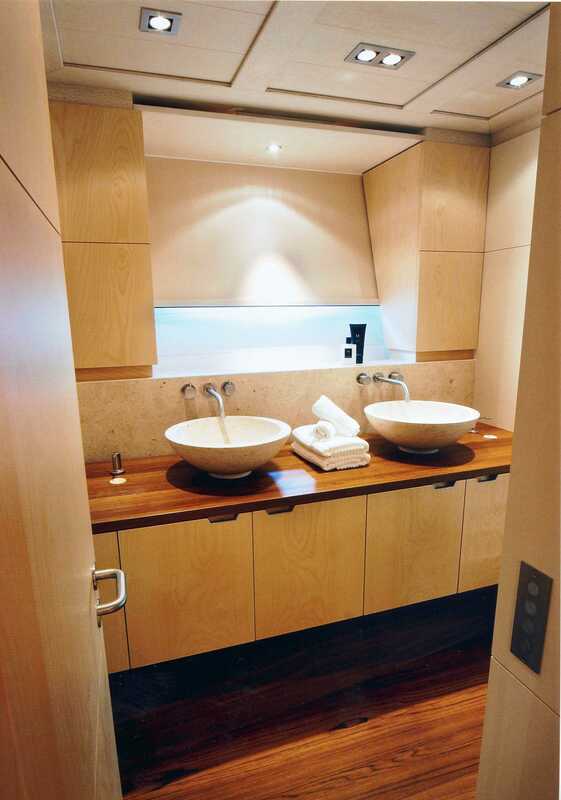 Also featured are Stainless Vola taps and fittings. 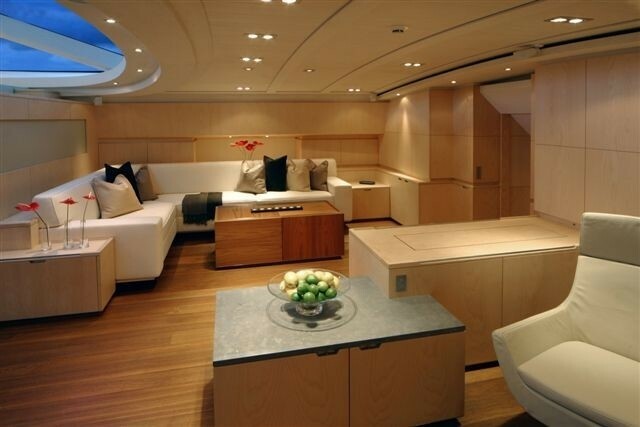 The owners’ suite is on twin levels and features a separate dressing room and sauna. 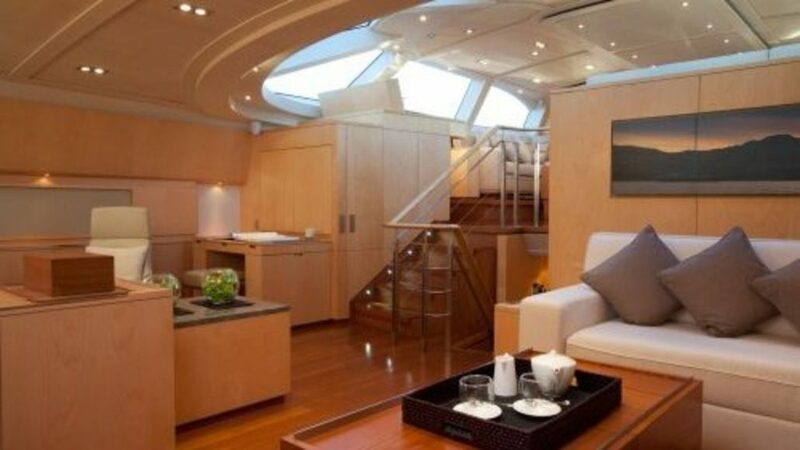 BELLA RAGAZZA's accommodation is arranged with four guest cabins and one owner's suite located aft and separate crew accommodation forward. 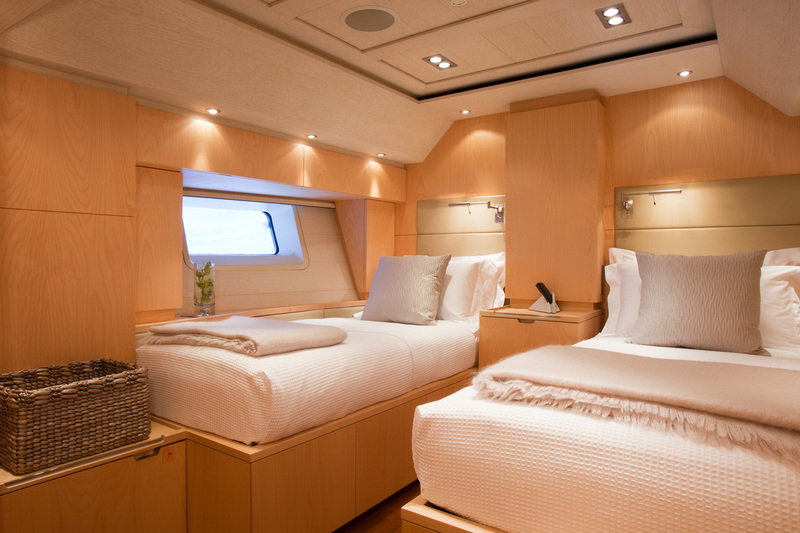 BELLA RAGAZZA has accommodation for 10 guests in 3 double and 2 twin staterooms. 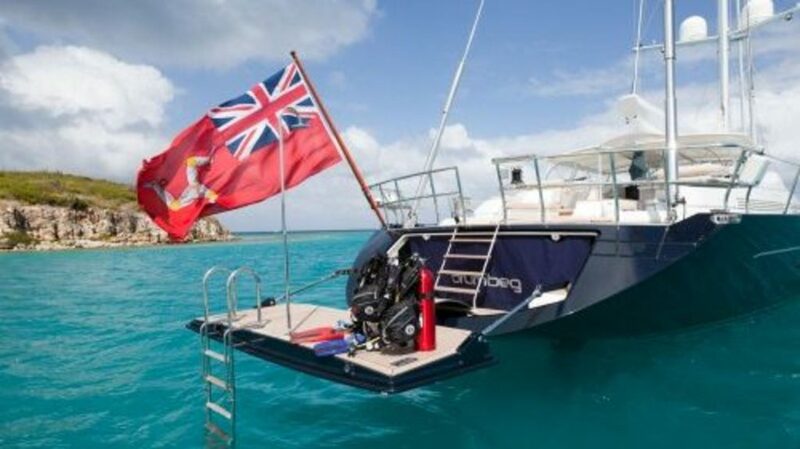 BELLA RAGAZZA motor yacht has a Guest tender - Zodiac YL 530 with Merc 75 ph 4 stroke. 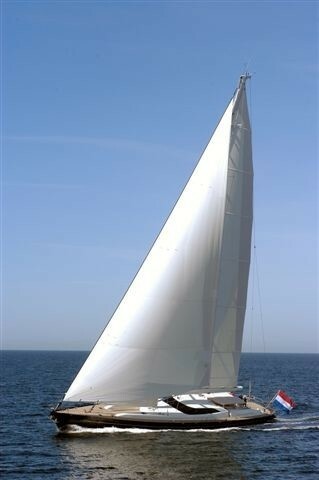 Crew tender - Zodiac YL 410 2 x Slash sailing dinghies with 3DL sails. 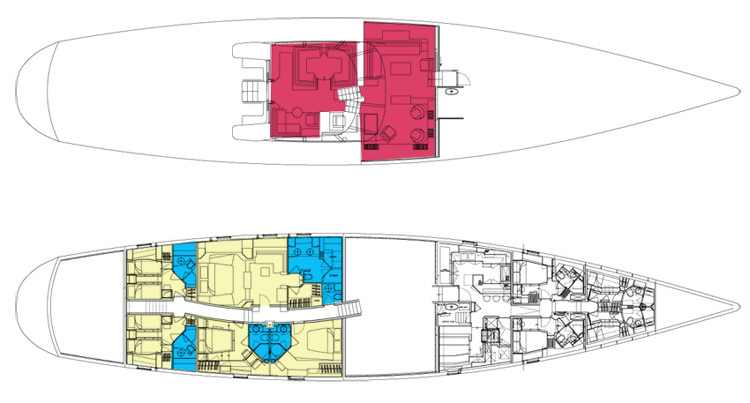 2 x carbon fibre kayaks 2 x children's kayaks Snorkeling equipment for 10 guests. 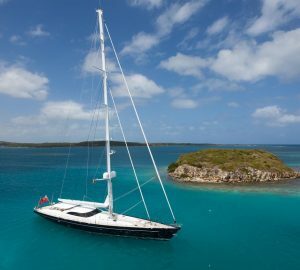 Communications Inmarsat F fleet 77, Inmarsat C, Iridium phone system, Fax Mini M, SSB, VHR, portable VHR, GSM, Panasonic exchange. 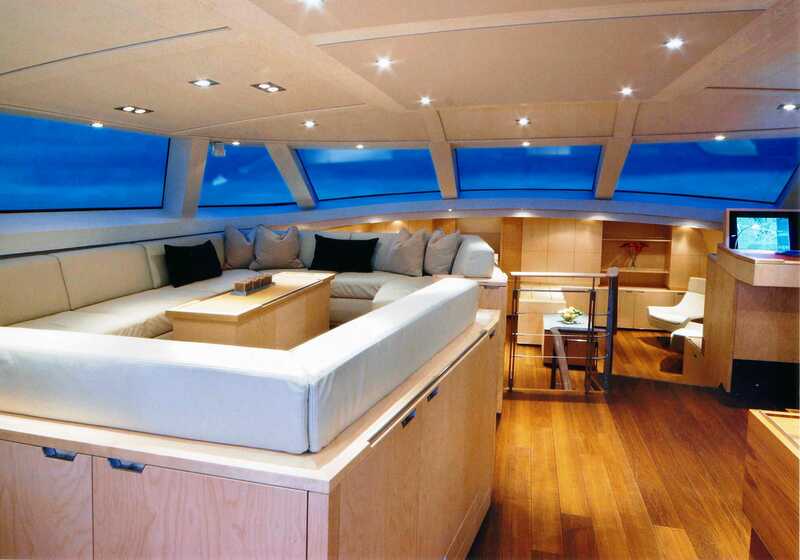 Owner's cabin - Bose dolby surround, DVD and 42" flatscreen. 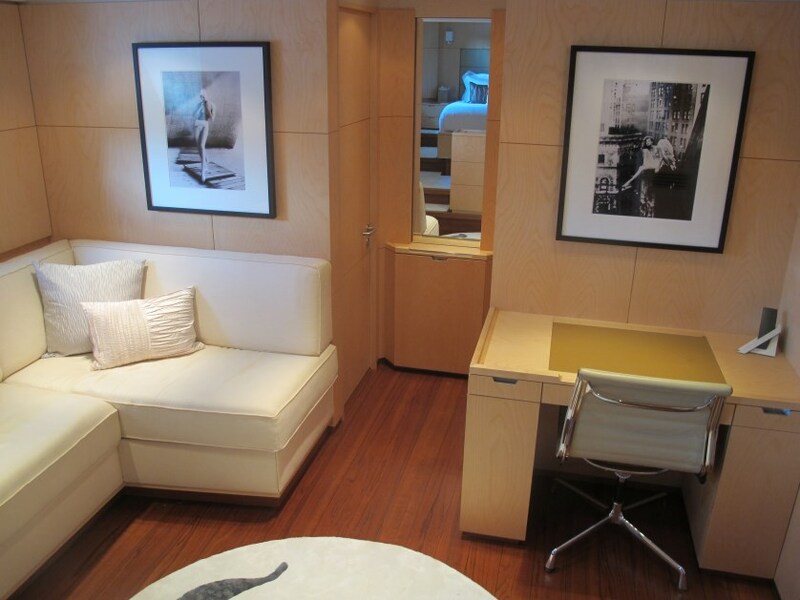 Guest cabins - DVD, receiver and 21" flatscreen. 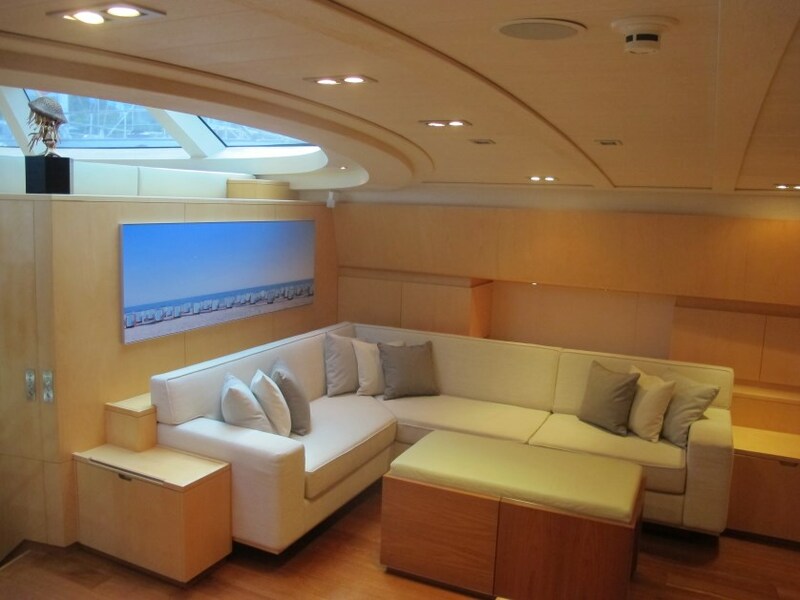 Lower saloon - Bose dolby surround, DVD rec and 42" flatscreen. 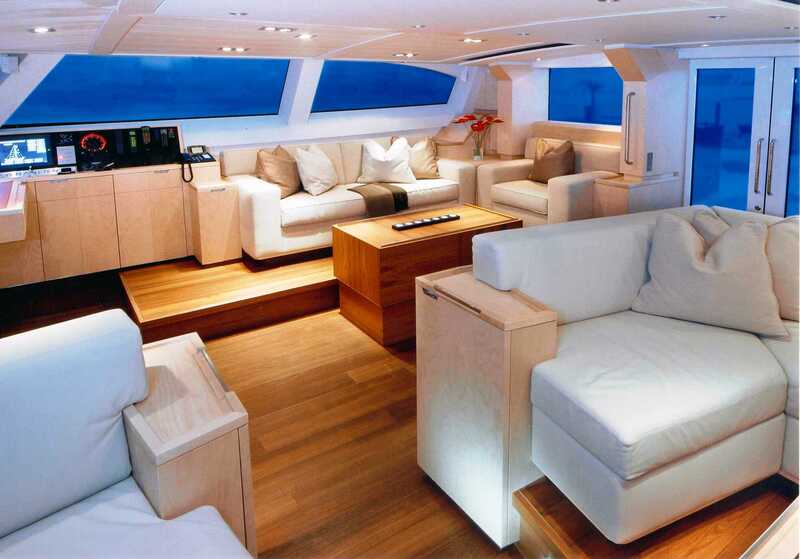 Upper saloon - Bose dolby surround. 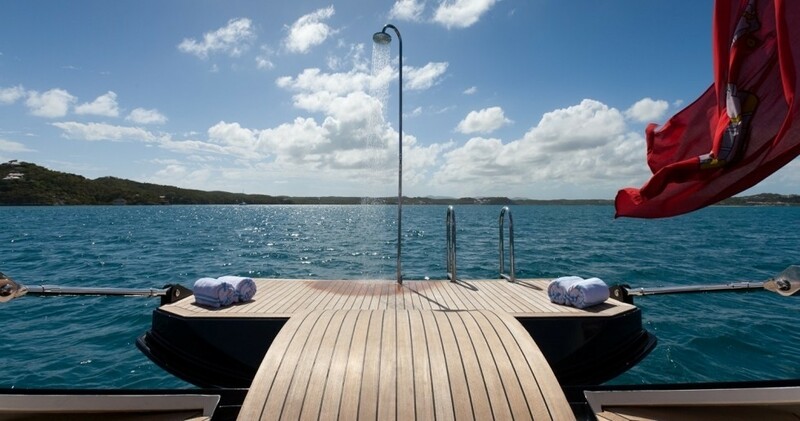 Outside watertight speakers.